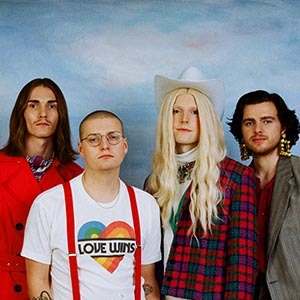 Forget the box, art rock sensations Sundara Karma think outside the whole damn packing plant. Their songs are personal reactions to art, literature and culture – Plato, Wilde, Bram Stoker, Manet, Buddha – that tackle topics from online self-obsession to consumer capitalism, the smokescreen of the nuclear family and the lies at the heart of the teenage dream. Oscar, aged just twenty, is already emerging as the most captivating frontman of our times, plucking at the long, silvery thread of rock’n’roll androgyny that runs through Bowie, Bolan, Suede and My Chemical Romance while embracing high art, questioning The System, probing his darkest autobiographical depths and musing – jokingly – about the evil clowns controlling the Earth. Following the release of their critically acclaimed debut EP, ‘Given Up’, whenyoung are back with an epic new single, ‘Never Let Go’, released through Virgin EMI. A massive slab of joyous guitar-pop, ‘Never Let Go’ finds the band expanding their sound. Produced by Al O’Connell (The Big Pink, Superfood), The slow burning track features layers of chiming guitar and vocals, creating a wall of sound that beautifully compliments Aoife’s evocative lyrics. 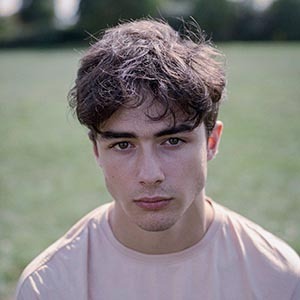 Alfie Templeman is a fifteen year old recording artist from Bedfordshire, England.